Now you can enjoy the perfect Cappuccino at home any time you like. 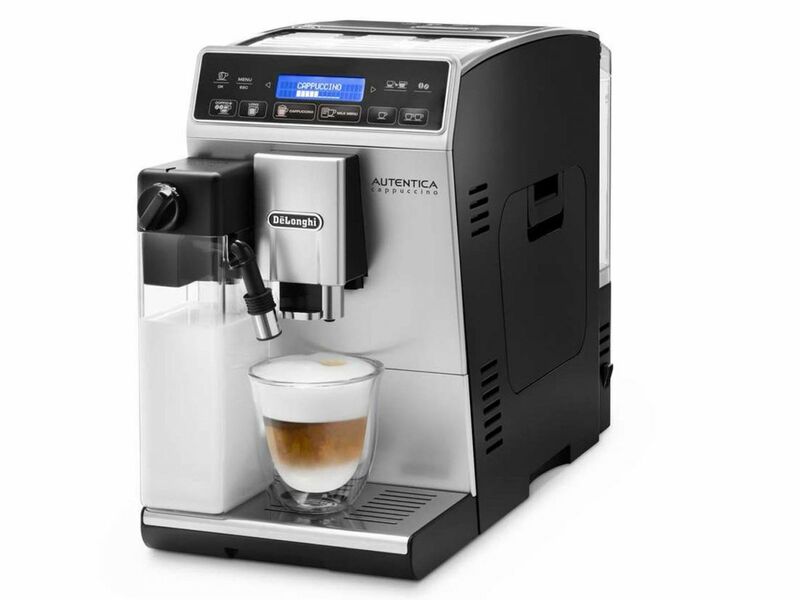 The Delonghi Autentica Cappuccino coffee machine is perfect for cappuccino lovers. The LatteCrema system produces perfect, dense milk foam every time, and it has numerous milk settings allowing you to make Cafe Lattes, Latte Macchiatos, Flat Whites and more. There is also a Doppio+ esspresso function, which allows you to get a double espresso with extra aroma - for those days when you need an energy lift, and a Long Coffee function that reproduces the taste and size of the American Filter Coffee through slow and low-pressure brewing, activated with simple touch of a button. The result is a coffee with a delicate flavour that can be enjoyed at any time of the day. A hot water spout that can be used for making tea or an infusion. The range of options is comprehensive: choose from short, medium or long; try a strong or extra mild aroma; enjoy it piping hot, medium or low temperature. The machine can be used with either coffee beans (using the integrated coffee grinder which has 13 adjustable settings) or pre-ground coffee. You can prepare two cups of coffee in a single brewing cycle.